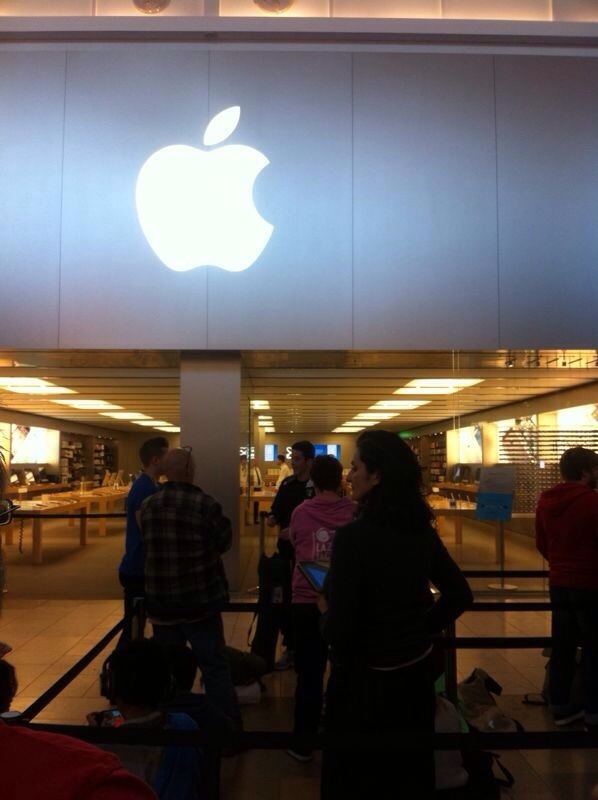 With the iPad Air launching in only 20 minutes, images of people queuing up for the device are beginning to appear, and the sight is refreshing. In the image received above from the Apple Store in Norwich, there are only around 20 people ahead of somebody who just turned out. It’s too early to tell if that is indicative of the iPad Air popularity, or everyone heard that there will be plenty of stock and chose instead to venture in at the weekend. This, combined with the load of stock we heard was being delivered to each Apple Store, should mean they’ll be plenty going around. The iPad Air was announced last week at Apple’s special October iPad event and features the slimmer bezel inherited from the iPad Mini which was heavily rumoured prior to the event. It also features the 64-bit architecture and A7 processor chip found in the recently released iPhone 5S. The form factor has been reduced and the device made significantly lighter as a result of internal optimisations and losing that chunky bezel. The iPad Air remains the same height, but incredibly thinner. The iPad Air starts at $499 or £399 and is available right now from your local Apple Store or Online Store. Are you getting an iPad Air? Let us know in the comments below.